The USB box will let owners connect up to four GameCube controllers to their Wii U console. Nintendo released a snazzy trailer hyping the Super Smash Bros. Invitational at E3 this year, but the most exciting news came at the end of the video (seen below). 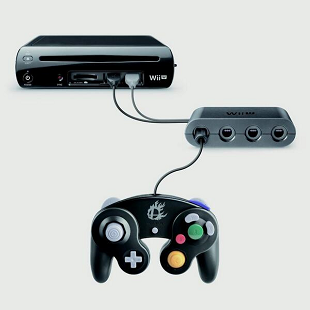 To be released alongside Smash Bros. Wii U in Q4, Nintendo is making a GameCube controller adapter for the Wii U console. The USB-powered box allows for up four GC controllers to be connected to the system, something many a Smash Brother will enjoy come Winter. Nintendo also teased the hardware in a tweet earlier today. While wired GameCube controllers (and presumably third-party knock-offs) will work with the box, Nintendo has yet to say if everyone's favorite WaveBird wireless controller will work as well. The new adapter box will be on display during E3 next month, so we'll be sure to take a look and offer up some impressions.